Dove Silk Dry Deospray is a powerful yet kind to skin antiperspirant that provides up to 48 hours of protection against sweat and odour. This spray deodorant contains 1/4 moisturising cream to nourish and hydrate your skin, as well as reduce skin irritation caused by shaving. With a soft, delicate scent Dove Silk Dry Deospray will keep you smelling and feeling fresh all day long. 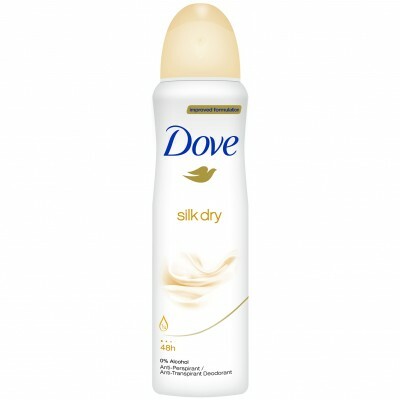 Dove Silk Dry Deospray contains 200ml.